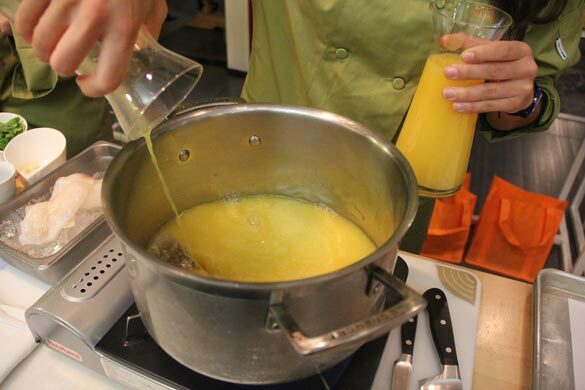 Just Add OJ: A Culinary Competition With Claire Robinson & So Many Good Ideas! In case you are new to cooking with OJ, here is an idea of the delectable items included in the Just Add OJ feast (created by the Florida Department of Citrus): Maryland Blue Crab Cakes with Florida Orange-Tarragon Hollandaise and Pulled Pork with Florida Orange North Carolina Style Barbecue Sauce. Both Skolnik and Robinson immediately showed off their foodie talents to the crowd by whipping up tasty beverages (cheers! ), as well as OJ-infused dishes like Browned Orange Butternut Dumplings and Spicy Orange Chicken Burgers (check back tomorrow for our recipe to these!). Are you hungry yet? During the culinary competition, Robinson and Skolnik interacted with all the guests to try one another’s food, share ideas and swap culinary tips. 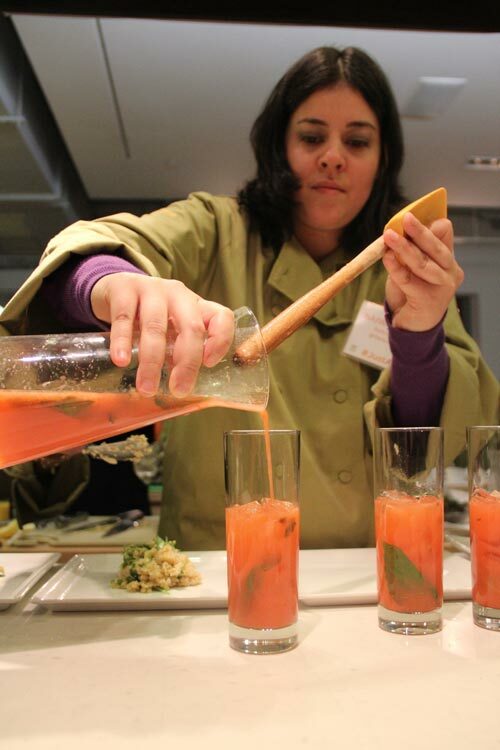 Participants were an array of health-and-food-media types who were fairly well-versed in the kitchen and created an interesting array of dishes and beverages. 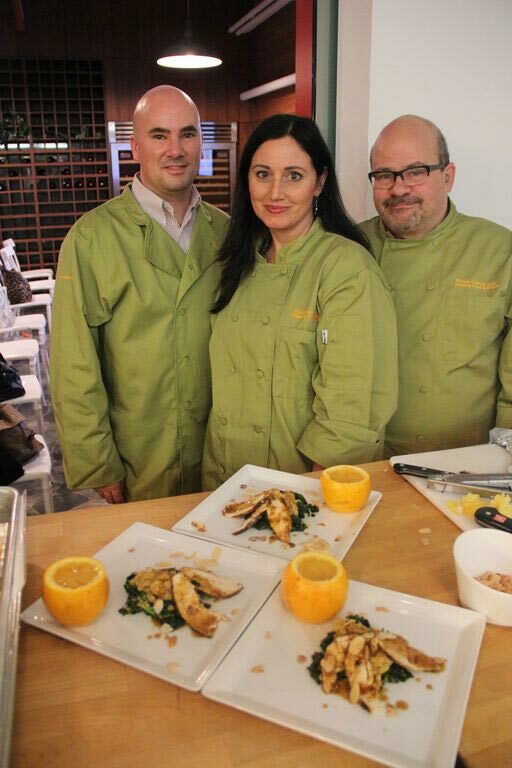 The winning main dish was a Moroccan chicken with OJ atop a citrus-dressed salad made by Abbe Lewis of Food Arts Magazine and Paul Frumkin of Nation’s Restaurant News. The winning beverage called for OJ, ginger and sriracha and was crafted by Bret Thorne of Nation’s Restaurant News, RD Jackie Newgent of Tasteovers by Jackie and Matt Adcock of Bicultural Mama.